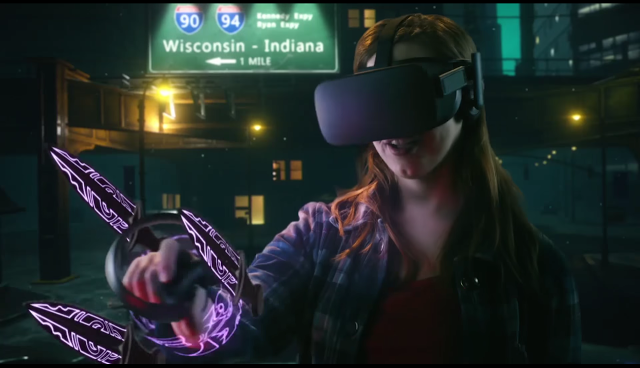 Oculus posted a mixed reality video of The Unspoken, a spellcasting battle game for the Oculus Rift, (and HTC Vive via Revive). It’s my current favorite game on any VR system. The video does a great job of conveying what it feels like to play this game. It really does feel like playing as Doctor Strange or Harry Potter. Besides the excellent gesture-based controls and amazing graphics, I also like the gameplay, which is more about strategy than sheer physical skill. The Unspoken is available for the Oculus Rift (requires Oculus Touch) but it’s also playable on the HTC Vive via Revive.